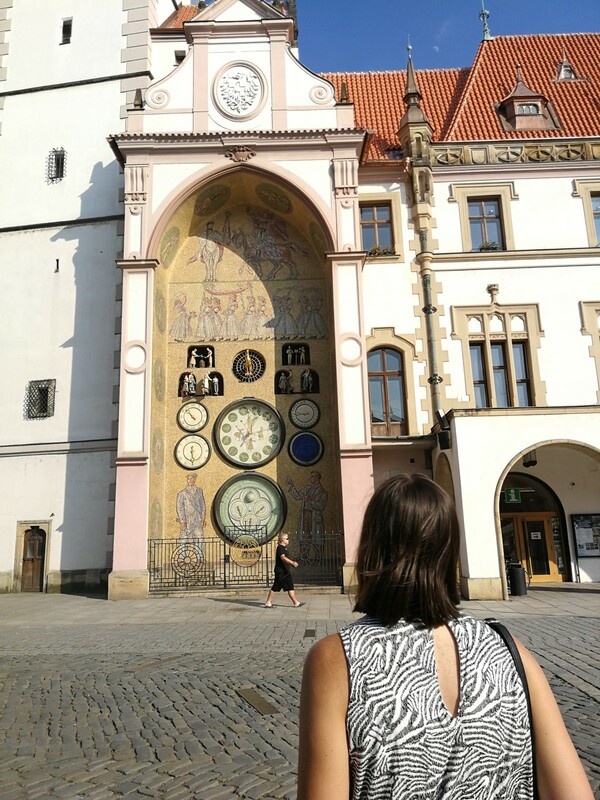 Unique astronomical clock, amazing fountains and cobblestone lanes…these are just some of the cool things to do in Olomouc, Czech Republic. Olomouc, the sixth largest city in the Czech Republic situated in the east of the country, takes pride in unique architecture. The cobbled streets of the town that used to be capital of Moravia, are decorated with magnificent churches and Gothic fountains. Following Prague, Olomouc is the second largest monument reservation in the country. No matter whether you travel solo, with a friend or family: Olomouc is definitely among the best places to visit in the Czech Republic. 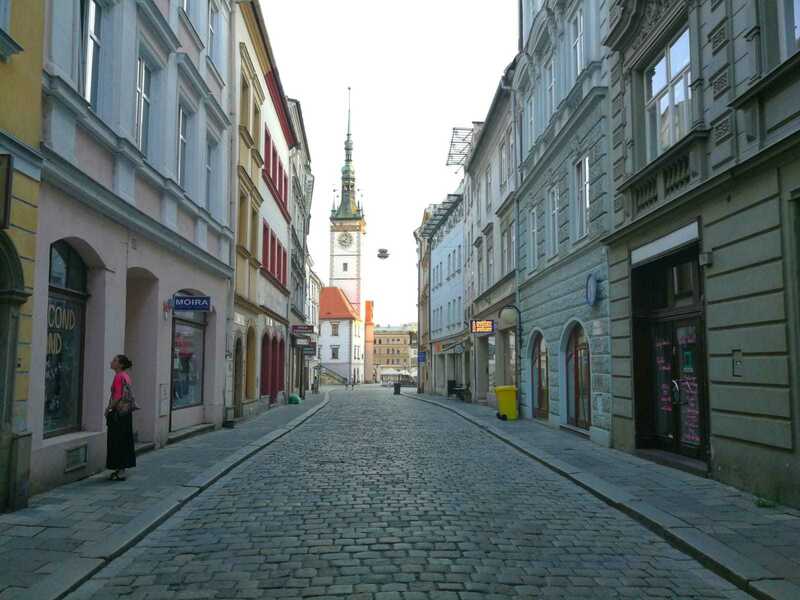 Coming from nearby Brno, Czech Republic, I have had several opportunities to explore Olomouc. Once I even stayed there the entire week when attending a summer school. Already back then learned that it’s such a beautiful town, and so you can imagine that I was pleased to come back and visit it again. Sometimes, you don’t need to travel to the other side of the globe just to see something beautiful, right? 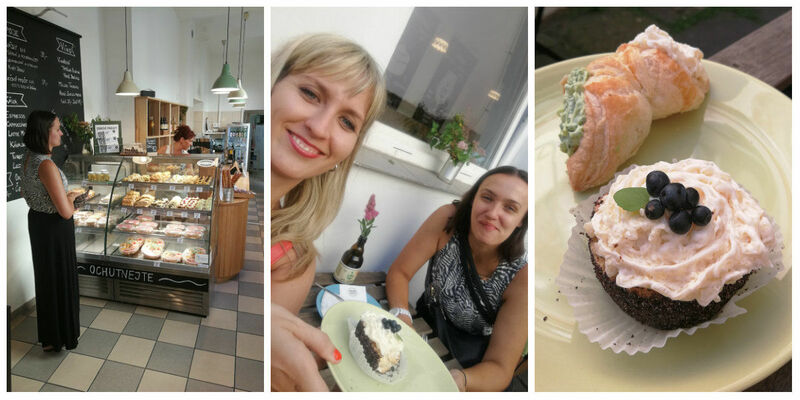 When I was on Brno last, I took Marketa, a friend of mine and partner in crime, and we headed south to Olomouc. The nearest airports are Prague, Bratislava and Vienna. All of these three cities are worth checking out and they offer rich transportation options to Olomouc. 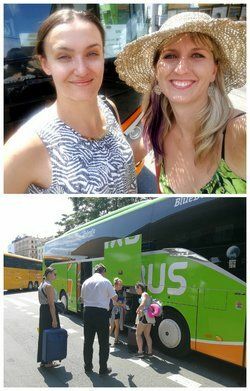 Olomouc is great to connect with Brno: We were traveling on the board of FlixBus. The trip was about one hour, and the trip was pretty smooth. Ticket Brno- Olomouc costs from 45 CZK/ 2 USD. When waking up early, Olomouc is manageable as one day trip from Brno. However, I strongly recommend you to keep two or more days for its visit. There are enough things to do in Olomouc and surroundings – plus, the city is really beautiful by night. Since we wanted to experience the town at night, we decided to spend two days instead of just one. 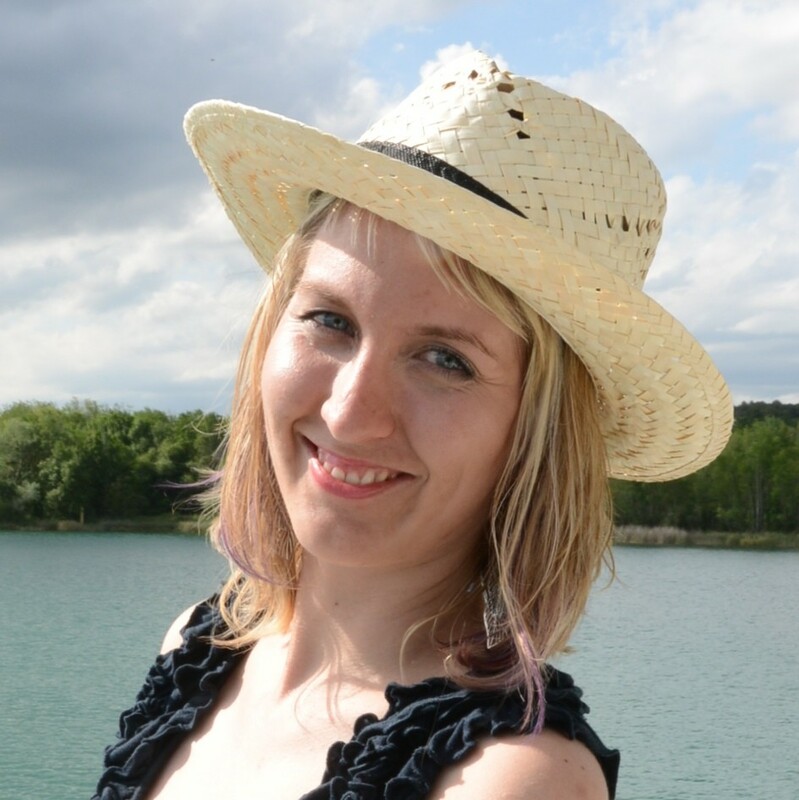 So why should you visit Olomouc, Czech Republic? 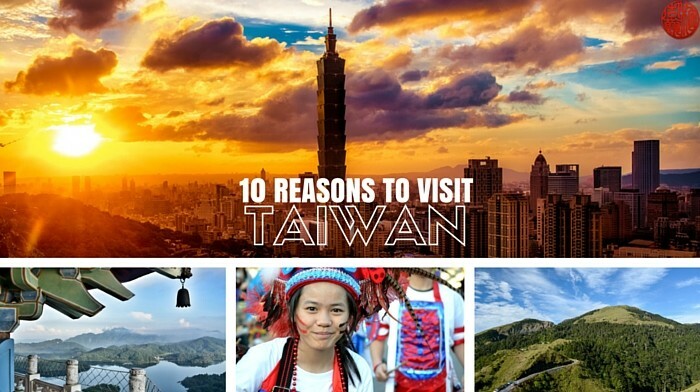 For me as a local, there are at least five reasons. 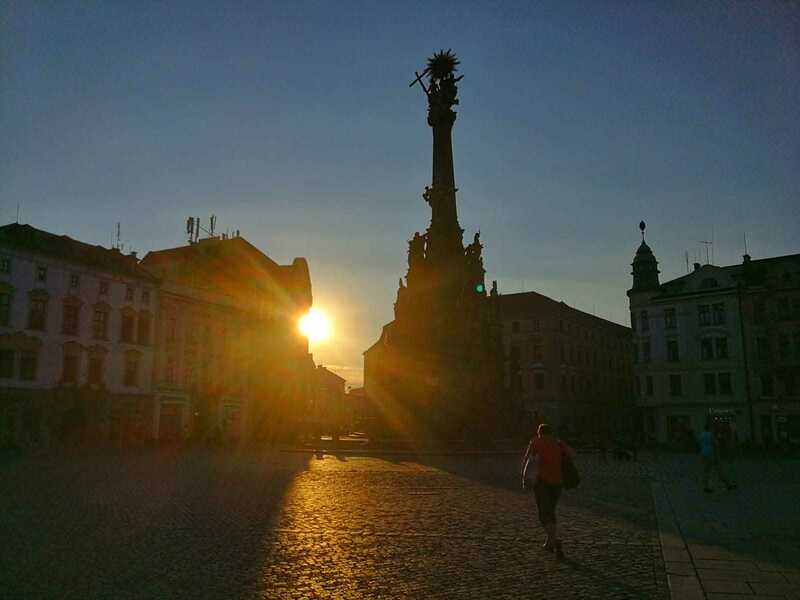 No mention of Olomouc can happen without mentioning its highlight – richly decorated Holy Trinity Column, with several superlatives that have earned a UNESCO listing for this town. You can find it on the main square (Upper square) With the height of 32 meters, it’s the landmark that can’t be overlooked: it’s said that even Maria Theresa ended up was staring at it with an open mouth when she came to visit Olomouc for the first time. What’s so unique about that column? It is the largest group of Baroque sculptures in one sculpture in Central Europe. When you look properly, you count among other things 18 statues of saints, 12 figures of light-eyed and 6 reliefs of half-apostles of the apostles. The column was built in 1716-1754, only artists from Olomouc and surrounding participated in the construction, so it’s something that the locals were always proud of. Holy Trinity Column is the highest sculpture of the Czech Republic and features even a small chapel, which can be visited too. Try out an interesting acoustic feature: in the past, when worships ware held inside here, and the priest was heard in a large part of the square, too. The interesting thing is that the chapel has a secret east: the underground passage, which can be reached beyond the boundary of the former Olomouc fortress. The non-religious character owns to the rebuilding of the astronomical clock in the 1950s when it was decided to depict more in the “spirit of socialist realism”. And so it happened that the main golden mosaic depicts the figures of a worker and a chemist. For certain period of the time, the date of birth of Stalin was mentioned in one of the calendars. Ups. The astronomical clock is located on the building of the Olomouc Town Hall in the very center of the Upper square (Horní náměstí). In order to be able to admire it in all its beauty, get ready to be at the clock at 12pm sharp. It’s the only way to see the full performance. Good timing definitely pays off, trust me! Once you are done with the clock, the 75-meter-high Town Hall tower is also worth a visit. It offers the most beautiful views of Olomouc and its surroundings. Upstairs there is even a chamber for the tower keeper: this guy must have been quite fit: judging by the number of stairs that he had to meet every time he needed a toilet, as there is no bathroom upstairs :). The Town Hall Tower can be visited on a guided tour only, but it is worth arranging it. You can inform about the time of tours at the Tourist Center, located in the Town Hall of the Town Hall (open from 9 am to 7 pm). Alternatively, you can call or write in advance. More information here. Called Olomoucké tvarůžky or Olomouc cheese is basically ripened soft cheese sold on Olomouc markets. Interestingly, it has never really produced in Olomouc, but in surrounding villages or towns. Today, they are only produced in town Lostice, 35 km northwest from Olomouc. There is also a museum dedicated to the production of this cheese if you are really interested. In Olomouc, you can taste Tvaruzky at multiple places in the town. There is even a special Tvaruzky pastry shop where they get the cheese nicely decorated in various shapes and colors. One would almost mistake them for real cakes. The patisserie is hidden in the arcade; you can find it in the street sign or just type it into Google Maps. 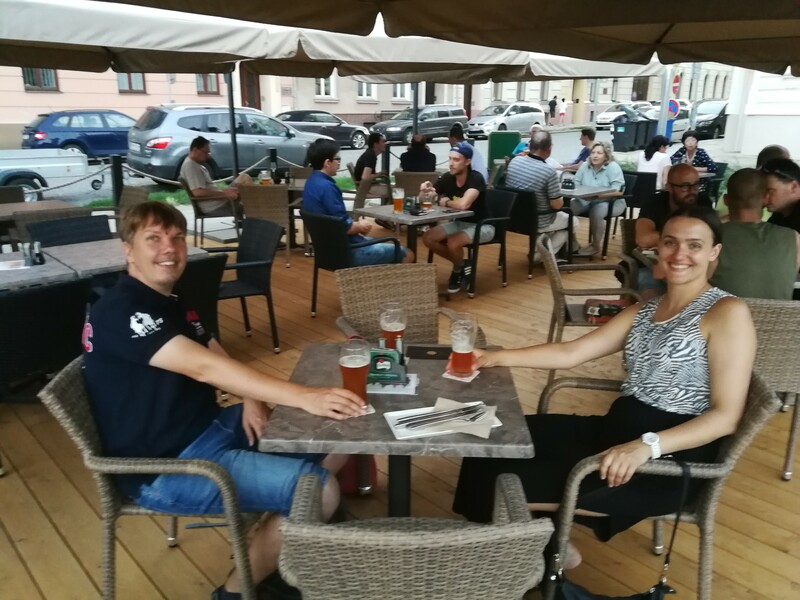 There is also a pleasant outdoor seating, we visited it with Marketa and liked it. 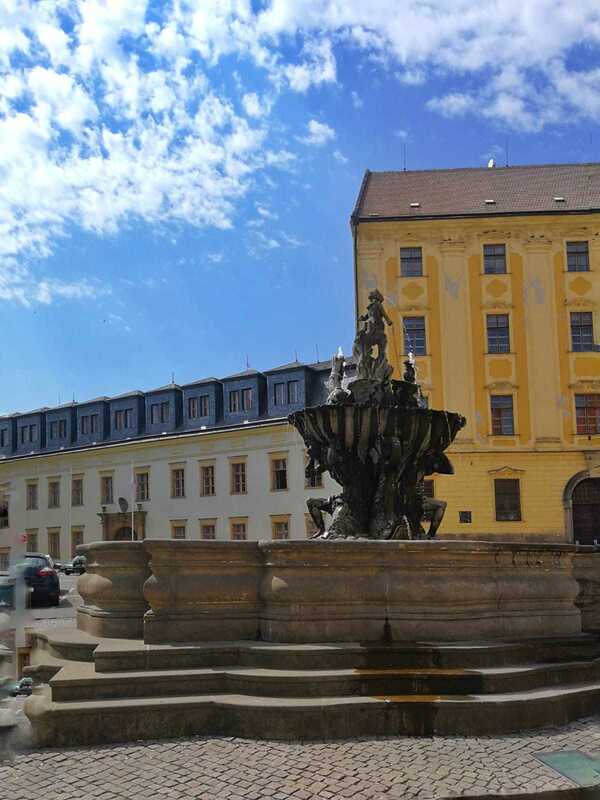 One of the things that fascinates me about Olomouc are its fountains – they make the city even more beautiful. There is nothing better to do on a hot day (during my visit to Olomouc 30 degrees Celsius), than to sit down and listed to the camping waters of the fountains. There are six in the city center, all of them from the Baroque period. The largest and most decorated is Ceasar’s fountain, built between 1724 and 1725. According to the legend, Gaius Julius Ceasar should be the founder of the city. He had arrived with Roman soldiers around 57 BC, and the local country was so popular that he had given the order to build a fortress. Sculptor Jan Jiří Schaubinger has built many symbols in his masterpiece: two male figures represent the rivers of Moravia and the Danube. The dog represents the city’s loyalty to the ruler. Ceasar’s statue is placed so that its face turns to Michalská hill, where it is said that the camp of Roman troops. If you are into green sites wich offer an peaceful escape after a day of sightseeing, Olomouc belongs to the best what to see in Czech Republic. The calm atmosphere is here all year long: when if you pay a visit in the high season. It’s the opposite of Prague that is so full of tourists that you simply can’t walk around freely. Especially July and August are totally crazy. Compared to Prague, Olomouc is a divine paradise yet to be discovered: the center is encompassed by green and inviting parks in total area of 57 hectares. Olomouc is something nicknamed as “pearl in green”. The area called Flora Olomouc is a great place of nature lovers, too: it’s known for botanical exhibitions that take place here, the place is, however, open all year long and where peaks can be spotted. Palacky University is a stone ’s throw away, other fauna and flora can be admired at Olomouc ZOO. A Holly Hill makes for another cool escape just 10 kilometers from Olomouc: but just if you get your car for moving around. As said before, Olomouc is not so overcrowded by tourists, so you will always have multiple options when choosing your accommodation. There is a lot of pensions and hotels to fit various budgets. It is good to keep in mind reviews and location: I strongly recommend you to stay in the walking distance to the center. 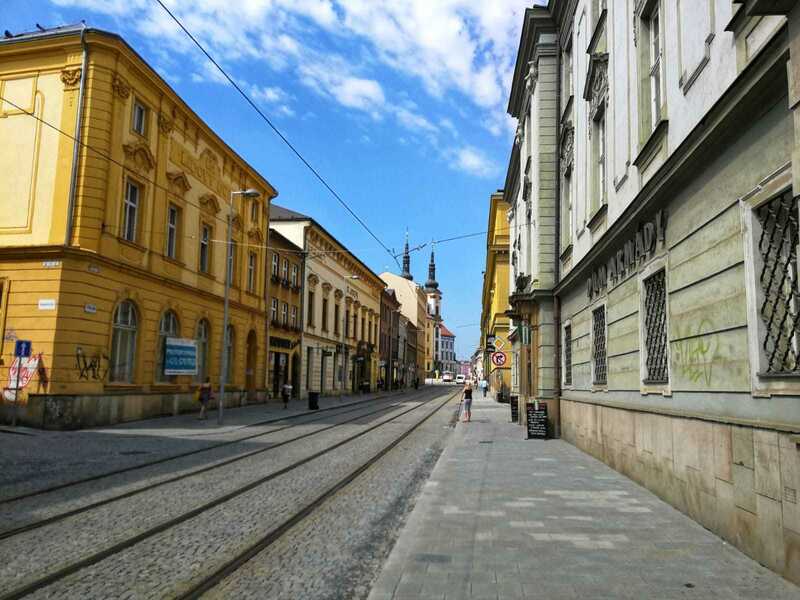 Olomouc is walking friendly and you will have all the sights nearby. 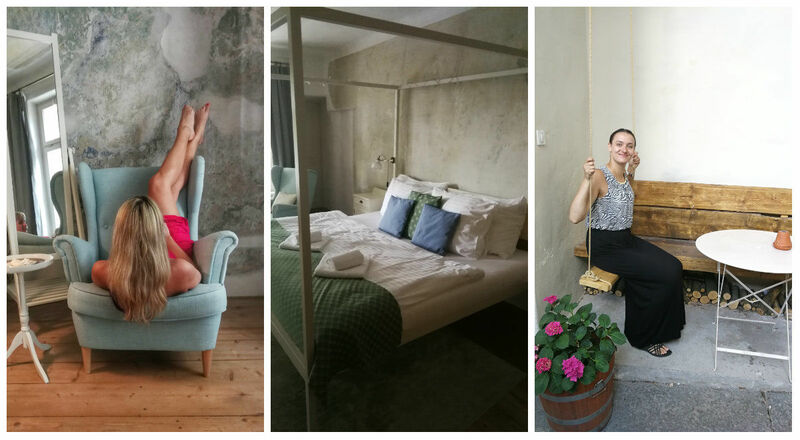 With Marketa, we stayed at Miss Sophie’s, a boutique hotel that recently celebrated the year since its opening. It is situated in a beautiful historic manor house from the 13th century. Its rooms are very photogenic, friendly staff and have a cozy café with a seating area in a shady garden. Miss Sophie’s and the Sophie’s Café have been declared a regional monument in 2017. 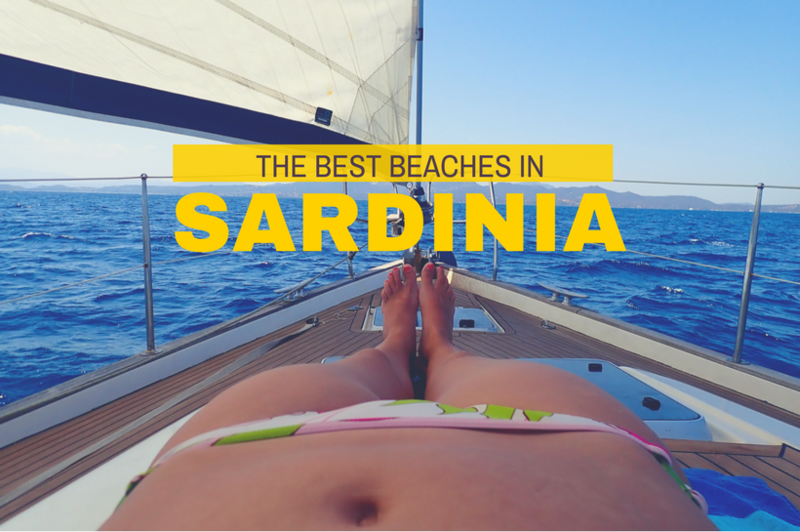 This place we recommended to me directly from the blog readers. I tested and I can confirm: really one of the best ice-cream in the town. You will have to walk a bit (20 min from the center), but it is definitely worth it. As mentioned above, Cheese pastry shop (Tvarůžková cukrárna) this is a paradise for cheese lovers and Olomouc gastronomic attraction. Even if you do not taste the curds at all, you’ll be amazed at the shapes and colors you see here. The restaurant is part of the newly opened hotel Theresian. We spent a lovely evening sitting at their terrace. Their portions are rather smaller, but it wasn’t a big problem for us. Unfortunately, I haven’t eaten here but thanks to the great reputation, it still deserves to be on my list recommendation. This restaurant came out as a winner from the national content as their dishes are considered to be the highlight of the Czech gastronomy. HAVE YOU BEEN TO OLOMOUC, CZECH REPUBLIC? I have done my best to explore Olomouc in two days: it was really nice to re-visit it after some years. If you are still planning a visit to Olomouc, I recommend you getting Olomouc Region Card, that includes entrances to various sights in Olomouc and surroundings. If you are really into sightseeing, this can save you some money. My guide should keep you busy on your visit. However, I am always happy to add new info: let me know if you have paid a visit and found a new interesting place. You can add your experiences from Olomouc in the comment section below! I love a good cheese holiday. Olomouc sounds like a charming city with a rich history. The cheeses sound delicious too. I would definitely climb the Town Hall tower for the view and love that there is a volleyball plyer on the astronomical clock. I would have to try the stinky cheese for sure! We thought we saw a lot of the Czech Republic. But we missed Olomouc. The Baroque tower in the centre of town looks unique. We missed the astronomical clock in Prague and in Bern, Switzerland. So this might be a spot for me to finally see one. I like the fact that there is so much green space in Olomouc. One more spot to visit if we return to the Czech Republic. I have never heard of Olomouc but it looks and sounds a lot like Prague, maybe just smaller. Good to know its a UNESCO certified treasure. I love the cobbled stone streets and the Astronomical clock, though not as awe-inspiring as the one in Prague, looks quite similar to it. Good to know its not too far from Bratislava and Vienna either, maybe I can make a day trip when I visit either of those two cities in November this year! This seems like a lovely place to visit — I wish I’d made it here during my trip to the Czech Republic! The astronomical clock with a volleyball player is hilarious, and I love the baroque architecture. I’ve been to Prague twice, but no where else in the Czech Republic. Olomouc looks like a charming town and I try to visit as many UNESCO World Heritage Sites as I can. I’d definitely be up for trying the cheese, too!